The Lincoln Fine Arts Night and Literacy is this Tuesday, March 19 from 6:00 pm to 7:50 pm at the Lincoln Gym. 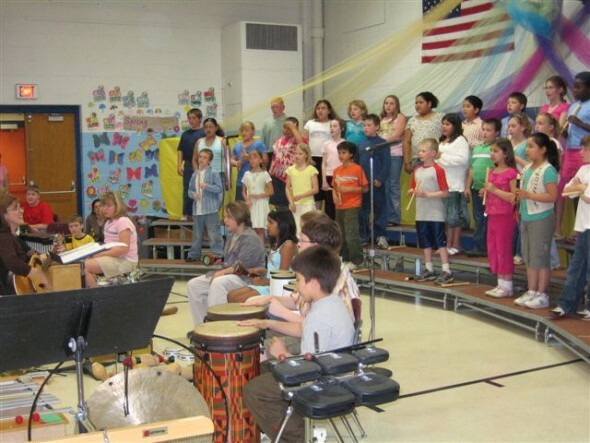 The Fine Arts Night will feature the musical talents of all students in grades K, 1, 2, 3, 4, 5 as well as the 5th Grade Drumming group and the K-5 art works displayed in a slide show prior to each musical performance. Enjoy beautiful student art hanging around the school and a fun literacy project in the cafeteria. The book fair is also open. Bring something for the food pantry and of course admission is free to hear 360 children make beautiful music!